The Ultimate in Eye & Body Glitter! From children to adults, everyone is catching the glitter craze! Eye Kandy Glitter & Glitter Raks. bring extra sparkle into their lives! and the custom Glitter Raks line designed by Rom Deussen. 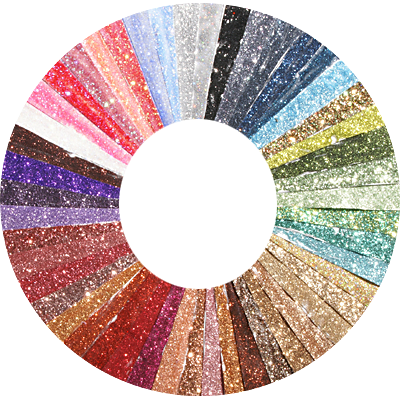 Eye Kandy Glitter is the latest in break though technology for glitter cosmetics. blended Glitter Raks line has over 16 colors! all are made in the USA. several drops of Liquid Sugar, then into the glitter pod and apply! designs, or add it to lotion for an amazing body shimmer! evening & your night out on the town. performing artists, cheer and dance teams, dance sport, clubbing and more! application process and discover dynamic results of your artistic talents! There are two cuts of glitter in our solid liners. exciting to wear! This size tends to be more popular with the performing crowd. bright, bold and fun look. actually intended to transform the eyelid or desired area of skin into a glitter. fun to wear as an everyday eye shadow and a dynamic body shimmer.